GBA Zook Man ZX4 (China) in 20:31.36 by FatRatKnight, pirate_sephiroth, Exonym, keylie, lapogne36, Grincevent, Arcree, Tompa, Mothrayas, Masterjun, Lord Tom & ThunderAxe31. Zook Man ZX4 (路克人ZX4) is a Game Boy Advance game by Vast Fame and the third known game in their Zook series. It is based loosely on the Rockman X games. 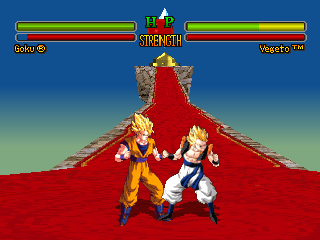 The game spans eight levels including an intro stage and a final boss rush. 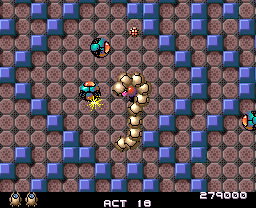 Several enemies are taken from Rockman X and Rockman 8, with the bosses being either recycled from previous Zook Hero games or being edits from other official Megaman games. The main character's design is based off of X. This game was run as part of TASVideos' Dream Team Contest 6, and this TAS was built on a combination of multiple submissions of said contest - hence the high number of authors. ZXS Castlevania: Spectral Interlude (v1.1) "100%" in 34:33.12 by Mothrayas. 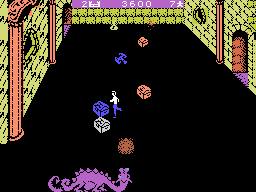 Castlevania: Spectral Interlude is a Castlevania fangame for the ZX Spectrum, developed by Rewind and released in 2015. It mostly pays homage to the classic Castlevania games of the NES era, particularly Simon's Quest, but also takes on elements from later "Metroidvania"-style titles in the series. This is the first ever ZX Spectrum publication on this site. PCE Gomola Speed (JPN) in 12:45.34 by Mothrayas. Mothrayas completes the 25 Acts in record time. Please read the author's comments for more details. NES Castlevania III: Dracula's Curse (USA) "Grant path, warp glitch" in 15:22.01 by arandomgameTASer, Samsara & Mothrayas. 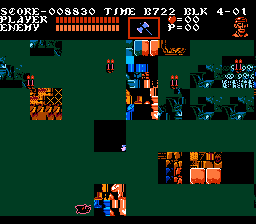 Unlike the other branches of Castlevania III, this run uses a stairs glitch in Block 4 to climb directly to Dracula and skip most of the game. Only the USA version allows this glitch to work, so it was used instead of the Japanese version, which has superior sound quality. DOS Jazz Jackrabbit (any v1.0) in 26:41.92 by Ilari, Mothrayas & slamo. 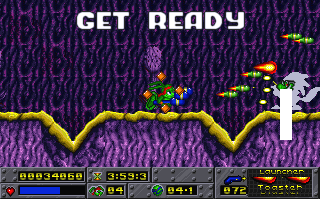 This run completes all the standard levels of the full game, which consists of six episodes. We also have a run of the three bonus episodes by the same authors. You can also watch runs from one of the authors, Ilari, that completed the two Christmas episodes of this game. WSWAN Rockman & Forte: Mirai Kara no Chousensha (JPN) "Forte" in 17:37.3 by Mothrayas. Rockman & Forte: Mirai Kara no Chousensha (commonly translated as Mega Man & Bass: Challenger of the Future) is a sequel to Rockman & Forte (Mega Man & Bass), published by Bandai exclusively for the WonderSwan. A version of Rockman from the future - calling himself R-Shadow this time - travels back in time again with a group of robots to wreak havoc, until either Rockman or Forte put them all down. In this movie, Mothrayas beats the game with Forte (Bass) in record time. We also have a movie that beats the game with Rockman (Mega Man). WSWAN Rockman & Forte: Mirai Kara no Chousensha (JPN) "Rockman" in 17:19.61 by Mothrayas. In this movie, Mothrayas beats the game with Rockman (Mega Man). NES Metal Force (Korea) in 13:09.6 by adelikat, Aglar, AntyMew, Aqfaq, Cardboard, Masterjun, MESHUGGAH, Mothrayas, MUGG, negative seven, Scepheo, thelegendarymudkip & Truncated. 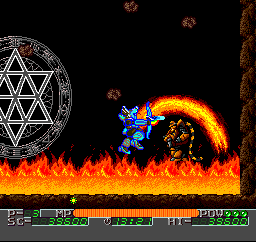 Metal Force is an unlicensed game developed by Open Corp. (who also made Buzz and Waldog) and released in 1994 in South Korea. It is of surprisingly solid quality for an unlicensed title. 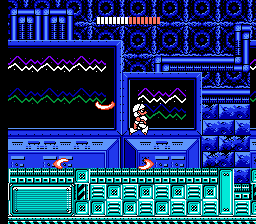 It controls similarly to classic Mega Man games, except you have two different weapons which you can switch between and upgrade by collecting powerups from enemies. Aside from that, it is a linear adventure comprised of 7 missions, with a boss battle at the end of each. 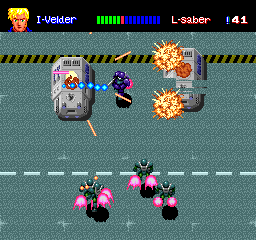 The stages of each mission are quite expansive and packed with enemies and obstacles. This game was run as part of TASVideos' Dream Team Contest 5, and this TAS was built on a combination of multiple submissions of said contest - hence the high number of authors. In this TAS, the authors make expansive use of the weapons and the various boosts in order to beat the game in 13 minutes and 9.6 seconds. GBC Mega Man Xtreme 2 (USA) in 27:06.62 by Mothrayas. Mega Man Xtreme 2, like its predecessor game Mega Man Xtreme, pretty much copies content and bosses from the main line of Mega Man X games. 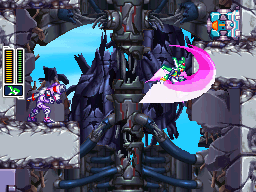 However, Xtreme 2 gets ideas and designs from a much wider range of games, ranging all the way from Mega Man X to Mega Man X5. For instance, there is a Parts system allowing upgrades to your characters. However, there is also an original story (though it's still as silly as many Mega Man storylines), along with some new stage designs and bosses. 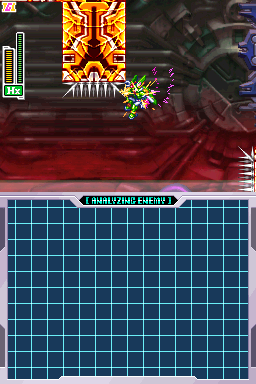 In this game, both X and Zero are playable. 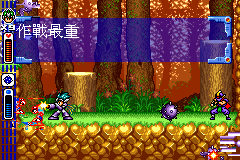 Zero is mostly used at the beginning and ending of the game, while X is used mostly in the middle of the game. Both characters get damage-boosting parts from the shop to defeat bosses incredibly quickly. For more information, see the detailed submission comments. 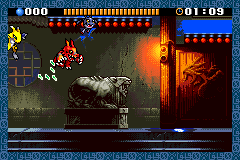 This run starts from a save file in order to unlock "Xtreme Mode", which allows visiting all of the game's stages and battles in one run. Runs that start from SRAM are not normally allowed; see the Movie Rules for more on this. A2600 Princess Rescue (unknown) "deathless" in 06:22.76 by EZGames69 & Mothrayas. 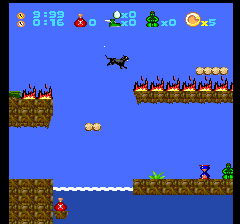 Princess Rescue is a homebrew game that's inspired by the Super Mario series, even following the same general storyline (namely a princess gets kidnapped by a big evil spiked turtle). It is up to a lookalike of a famous plumber to save her from its clutches. Mothrayas and EZGames69 rescue the princess by completing every level without dying a single time. If you want to see this game beaten in the fastest way, please watch the any% run. GBC Rockman DX3 (r1) in 23:33.1 by Mothrayas. 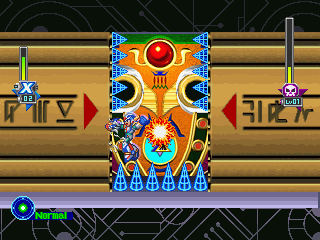 Unlike the other run of this game, this run uses a release that doesn't have all stages unlocked from the start, which means all bosses must be defeated and all upgrades obtained first before Zook can tackle the final stages. We also have a run of this game's prequel, Zook Hero Z.
Uzebox B.C. Dash (unknown) in 01:09.75 by Mothrayas. B.C. Dash is a platformer game for the Uzebox, developed by Paul McPhee and released on October 25th, 2009. 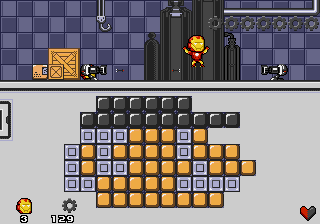 The goal is to pass through a single long hazardous stage, filled with tricky jumps, awkard terrain, and many different artifacts and powerups along the way. 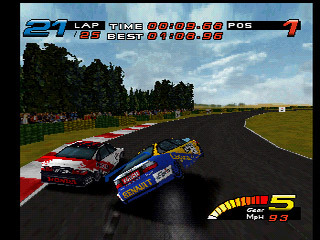 After reaching the finish line, your fastest time is recorded and the stage loops again for another run. Mothrayas dashes through the game in record time. The Uzebox is a retro-minimalist homebrew game console. It is based on an AVR 8-bit general purpose microcontroller made by Atmel. The particularity of the system is that it's based on an interrupt driven kernel and has no frame buffer. 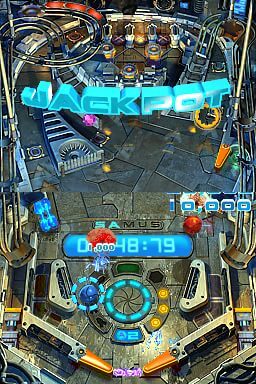 Functions such as video sync generation, tile rendering and music mixing is done realtime by a background task so games can easily be developed in C. The design goal was to be as simple as possible yet have good enough sound and graphics while leaving enough resources to implement interesting games. Emphasis was put on making it easy and fun to assemble and program for any hobbyists. The final design contains only two chips: an ATmega644 and an AD725 RGB-to-NTSC converter. NES Streemerz: Super Strength Emergency Squad Zeta (any,r2) "Streeeeemerz Mode" in 05:03.33 by adelikat, Aglar, Mothrayas, Really_Tall & Samsara. 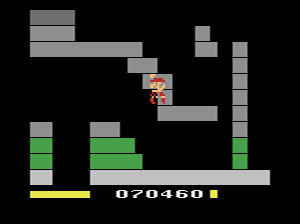 Inspired by the Action 52 game of the same name, Streemerz is a NES port (by thefox) of a Flash game made for the "Action 52 Owns" game jam by Arthur 'Mr. Podunkian' Lee. 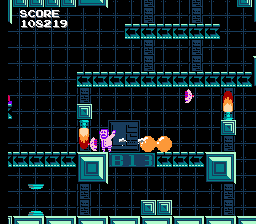 This run plays through "Streeeeemerz Mode", which, as the name implies, features gameplay closer to VVVVVV. It originally started with Mothrayas's winning run of the SGDQ 2015 speed TAS competition organized by dwangoAC, which resulted in some interesting top-10 comparison encodes. Later, adelikat, Aglar, Really_Tall and Samsara joined the party after finding many improvements throughout the run as described in the submission comments. 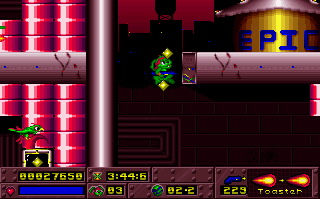 There is also a run that completes the game in "Superb Joe" mode by MESHUGGAH. A2600 Princess Rescue (unknown) in 06:08.47 by Mothrayas. Mothrayas rescues the princess in record time. SGX Madou King Granzort (JPN) in 07:55.91 by adelikat & Mothrayas. 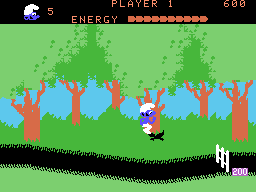 The title of the series upon which this game is based, and therefore the game itself, has been rendered a variety of different ways in English; this is perhaps indicative of just how bizarre an experience playing this game is. This is an improvement of 50.17 seconds over the previous movie, thanks to better optimisation and better strategies on the bosses. Please read the authors' comments for more details. 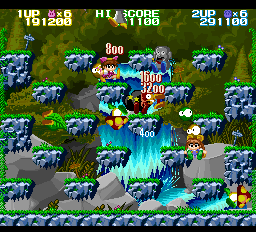 This game was released for the SuperGrafx, a slight modification of the TurboGrafx-16/PC Engine meant to enhance the graphical capabilities of the console. Uzebox Joyrider (unknown) in 01:40.07 by Mothrayas. 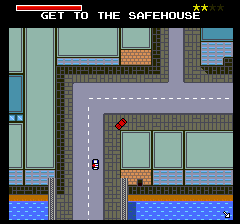 Joyrider is a topdown driving game for the Uzebox, in the style of the classic Grand Theft Auto and Driver games. It was created by James Howard (jhhoward) for the Uzebox Coding Competition 2014, where it won 1st place. Like the classic GTAs and Drivers, it features a city to drive around in, with several things to do; free roaming, doing missions or participating in police chases for instance. The game has a story mode with three missions, and arcade/multiplayer modes with other activities. Mothrayas drives through the story mode in record time. NGP Rockman Battle & Fighters: Power Battle (JPN) in 08:20.89 by Mothrayas. 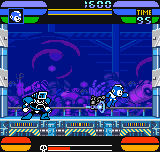 Rockman Battle & Fighters is a Neo Geo Pocket Color port/compilation of the two Mega Man arcade games, Mega Man: The Power Battle and Mega Man: The Power Fighters. 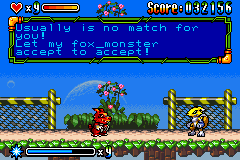 It was developed and published by Capcom and released in 2000 in Japan. While video and audio are brought down significantly to go down from the CPS arcade systems to the dinky Neo Geo Pocket handheld, the gameplay is largely converted pretty faithfully, and the character sprites even in their 8-bit-esque glory retain pretty fluid animation. Lynx Scrapyard Dog (USA/Europe) in 07:46.84 by Mothrayas. 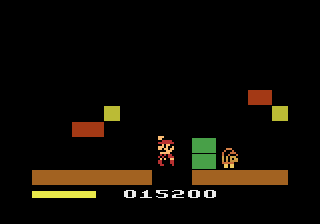 Scrapyard Dog, originally released for the Atari 7800, starts with Louie's dog Scraps being kidnapped by Mr. Big, who has driven off with Scraps and unleashed (get it?) a band of thugs to stop Louie. 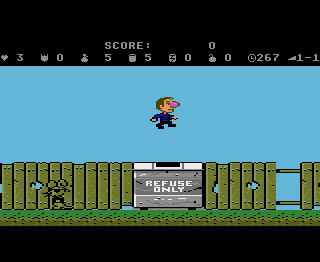 Louie must dodge the thugs' attacks while avoiding other enemies, hopping over obstacles, darting under bird droppings, and collecting cans and money. With only shrinking pills as weapons, Louie will run from junkyard to city to forest to mountain to desert to snowfield to the final castle in his journey to save Scraps. In this run, Mothrayas makes his way through many strange places in order to save his beloved dog. NGP Rockman Battle & Fighters: Power Fighters (JPN) in 13:45.19 by Mothrayas. GBA Digimon Battle Spirit (USA) in 13:59.66 by Spikestuff & Mothrayas. Digimon Battle Spirit is a fighting video game originally published by Bandai and developed by Dimps for the Japanese-only WonderSwan Color handheld system under the name Digimon Tamers: Battle Spirit (デジモンテイマーズ　バトルスピリット Dejimon Teimāzu Batoru Supiritto). It was later ported to Nintendo's Game Boy Advance for international releases in North America and Europe two years later. 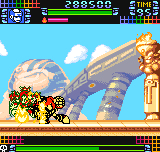 The game features characters and Digimon that were included in the first three seasons of the animated series of the same name in a somewhat simplistic fighting scenario, and also has slightly arranged samples of the show's soundtrack. VBoy Waterworld (unknown) in 12:43.66 by Mothrayas. 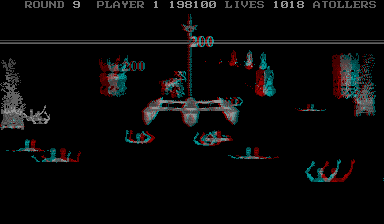 Waterworld, released by Ocean Software in 1995, is a 3D shooting game released for the Virtual Boy. It has the dubious honor of being considered possibly the worst game on one of the worst game systems of all time. INTV Sewer Sam (unknown) in 02:54.05 by Mothrayas. 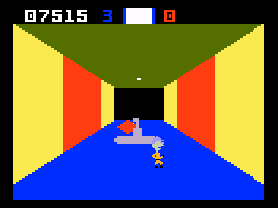 Sewer Sam is an Intellivision and ColecoVision game, developed and published by Interphase in 1983 featuring a guy named Sam going through a network of sewers. 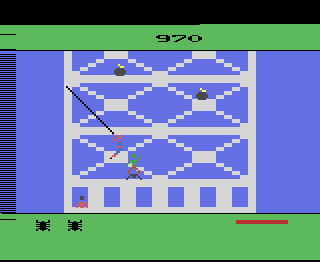 Sam is armed with a six-shot revolver and has to locate and destroy three enemy submarines that are hidden inside this maze of sewers. Along the way, plenty of sewer wildlife is out to get him, so those need to be shot or otherwise avoided as well.